After feeling a bit blah and ponderous last week, I was back to feeling pretty good this week, despite being exhausted in the evenings again, drinking lots more water than normal, and being so warm now that I've gone back to short-sleeved/sleeveless shirts at work and I'm not even using any covers for the most part at night. I'm not even sure if I'm still sick - probably? Just some congestion throughout the day and a sore throat overnight and in the mornings. I somehow was even the healthiest one in the household this week, as both Ryan and Josie came down with some sort of stomach bug. The swelling in my legs got pretty bad this week (and is no longer entirely going down overnight), so compression socks are my best friend at the moment. My midwife appointment this week wasn't as great as last week's. 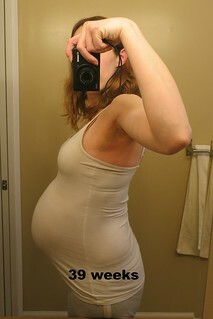 My belly is measuring 2cm smaller than last week, so it's possibly only grown 1cm in a month. I also haven't gained any weight in 3 weeks, which seems odd since I thought I was supposed to be gaining 1-3 pounds a week at this point. The baby also was not very active that day, and its heartbeat was just a little slower than normal. All of this combined made me quite a bit worried about how the baby is doing, although everything is still within normal limits. 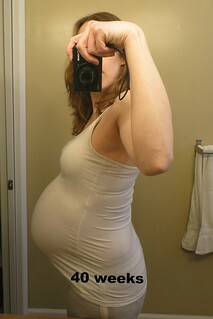 The midwives have also assured me that some women plateau the last few weeks with the weight gain and belly growth. New baby still reacted well when I poked at it while we were listening to its heartbeat, and it still hasn't had any problems getting to 10 kicks in an hour (even when I prodded new baby to wake up in the morning to do it). It's still far more active in the evenings, but unfortunately that's a long time to wait for reassurance when I'm worried about it.